← Thanks to Island Visitors; Hiking is Heating Up! While in Virginia on vacation, I got to see a program staring Ringmaster Tim Saylor and King George Wyant, also known as Ringy and KG, of the Anaconda Treasure Company. This very dynamic duo came to St. Croix in search of treasures of the Caribbean. They intended to search for pirate treasure and the treasures of the Knights of Malta. They had to be familiar with the work of JP Noel as they specifically mentioned searching for the Ark of the Covenant. In his book, “The Ark of St. Croix,” Noel traced the Ark from Jerusalem and the Crusades to the Knights of Malta on St. Croix. The episode was called TREASURES OF THE CARIBBEAN and is a Diggers programs shown on the National Geographic Channel. The program was a one hour showcase of the history and beauty of St. Croix. Residents of St. Croix should be able to get it from their cable TV company for a small fee. I loved it for many reasons and found it well worth watching and worth recommending. Well, all their initial enthusiasm did not go to waste as the Diggers explored several Danish sites developed in the late eighteenth century and found artifacts dating from that era up to about 1905. Their program was an enthusiastic presentation of the beauty and Danish history of the island and it should be shown to every student on St. Croix. Of course, I categorically reject the concept that there is no physical evidence that the Knights of Malta were ever on St. Croix. To start with there are two old maps (Blondel 1667 and Lapointe 1671) which show the location of the plantations and the names of the owners. One place was identified by JP Noel as headquarters for the Knights of Malta and was originally named Moncœur by them. JP Noel was excited by the stonework at the location which is now called Estate Pearl. He located a decorative keystone over one doorway which has a date of 1657 associated with it. This date is slightly after Governor De Poincy, Bailiff Grand Cross of the Knights of Malta, acquired the island for his personal possession. This technically made him a Baron and I believe Baron Bluff would be an interesting place to explore for a multitude of reasons. I described the Keystone as decorative because it is not part of an arch and serves no useful purpose except perhaps as a clue. 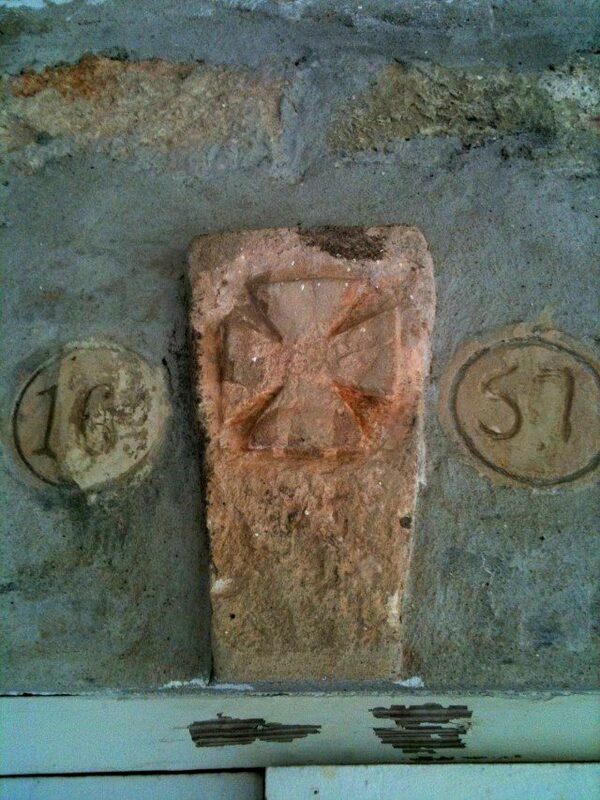 The Keystone is further decorated with a Maltese Cross and is made from pink stone. One other interesting point is that Moncœur is not a French family name as with other plantations, but translates into “my heart” as in those pictures of Jesus with an exposed radiating heart or the name for the headquarters of a holy order. Perhaps it is also just an interesting coincidence that the French phrase for keystone is clé de voûte which could also be translated word for word into Key to the Vault. 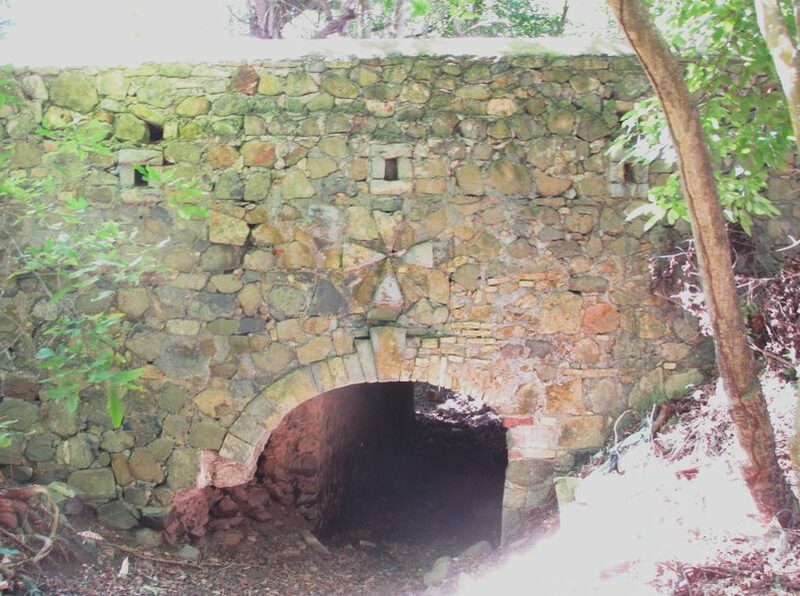 Possibly, it is a second coincidence that the pink stone comes from one of only three areas that the Knights of Malta had the knowledge and expertise to make a tunnel to hide something of value on St. Croix. As might be expected, the pink stone was probably mined in the vicinity of Baron Bluff. Last time I checked, a map is physical evidence and a clue to the location of the French Estates on St. Croix and a pink Keystone with a Maltese Cross should also be considered to be physical evidence of the presence of the Knights of Malta and perhaps a clue to the location of treasure. The Knights of Malta were a religious order known for their stone masonry as were the Knights Templar. Both orders had been involved in the early crusades. When the Knights Templar were destroyed by the French King Phillip and their assets in France seized by him. The Pope transferred the remaining assets and personnel outside France to the Knights of Malta strengthening their stone working knowledge and helping them become the ultimate military power in the Mediterranean, perhaps even stronger than France according to Muslim observers. The navy and their stone forts of Malta were never defeated by force and their ultimate demise came from a lost will to fight and a peaceful surrender to the forces of Napoleon in 1798. Napoleon was offended by the mostly French Knights, because they were running the last slave market in Europe, so he destroyed the order and no Kingdom of Europe came to their defense. Once you become fascinated by differences in stonework, you can see a huge difference between the cut stone of Mediterranean construction held in place by the perfection of the cut and the random stonework of the Danish held in place by a very strong mortar. One problem in clearly deciding between the two is that the Danish used all available stones even those that had been precisely cut by the French so you can see plenty of occurrences where a very poorly constructed wall built with any available stone has one perfectly cut stone or arch that simply looks out of place. No one in their right mind would go to the trouble of cutting a perfect building block and then putting it in a wall made of random natural rocks held together by mortar. Of course, if a person found cut stones in a French ruin, they would repurpose them for another project. Local historians dispute that the Danish were sloppy stone masons so it is nice to find additional evidence like a Maltese cross, or two, adjacent to intricate stone work proving definitively that it was constructed by the Knights of Malta. 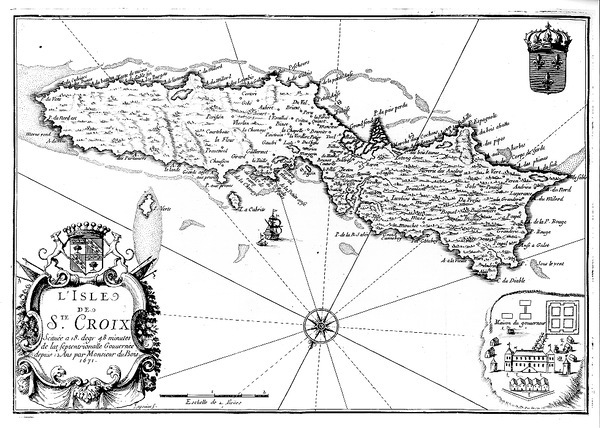 Moncœur is located on the southern part of St. Croix, just North of a harbor called the Grande Forde. 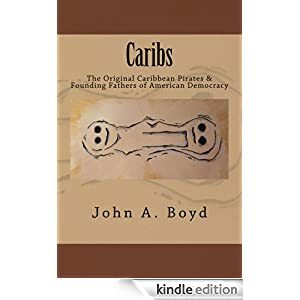 This harbor was on the opposite side of th island and from the time of Columbus, ships would sail along the North Coast of St. Croix to get to Puerto Rico and Hispaniola. The Knights of Malta could have used this secure harbor on the south shore to bring tools, blasting powder and scaffolding to the mountain of pink bedrock for a tunnel. The most direct approach to the mountain was to go north and cross over a low point in the ridge to the west of the hill and then approach the hill traveling towards the east. Along this route is a bridge with an arch made of precision cut stone held in place by a keystone so there is minimal mortar in this load bearing arch. Right above the keystone is a Maltese Cross built into the stone work. 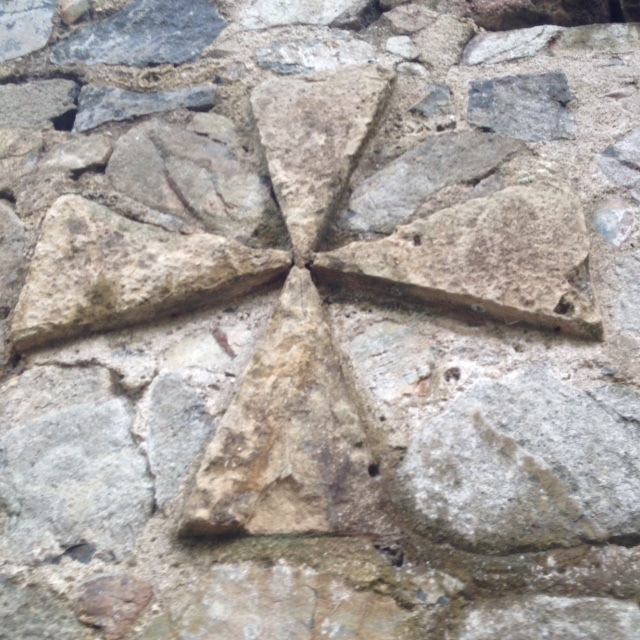 The stone of the Maltese Cross is sandstone probably mined along the west coast of St. Croix. The eastward facing portion of the bridge is in much worse shape and the right side has been repaired, probably by Danish masons. 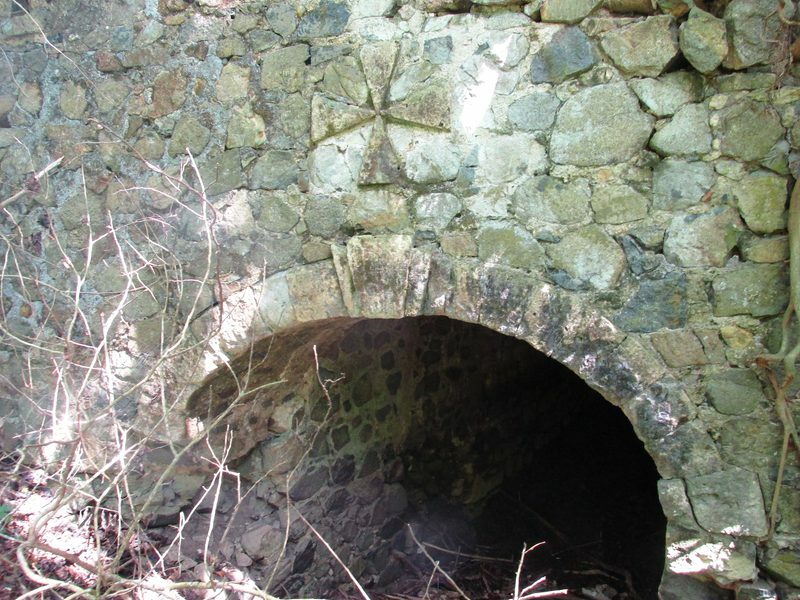 The Danish work does not use or reuse cut stones but relies on yellow ballast bricks and motor to build a flatter arch and the fill above the arch also contains numerous ballast bricks. In the era of the Danish building with stone, their solutions were more functional then elegant. 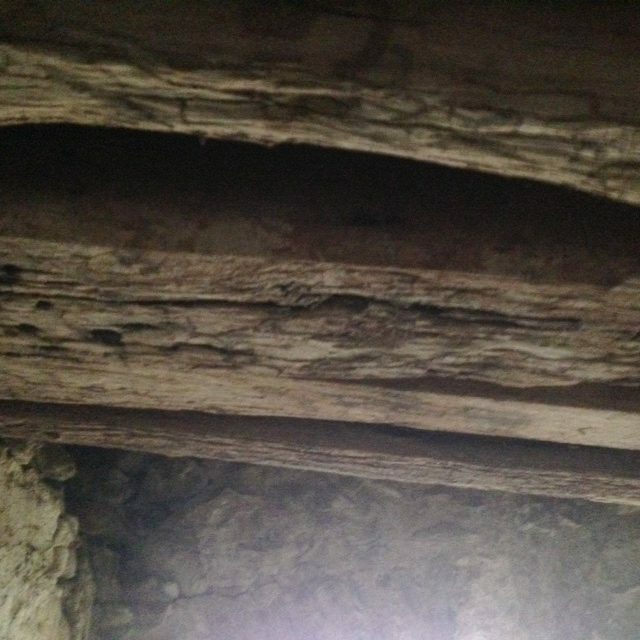 The picture above shows a portal which uses a wooden beam above the opening to support the stone. This is more characteristic of Danish work. Another unique characteristic of the bridge is that this is actually a very sturdy wooden bridge built with ships timbers designed to take a heavy load. As far as I know this is the last wooden bridge on St. Croix still in use and has a very different construction technique from the Danish bridges. All of my photos of the hill at Baron Bluff that wold support my position that this is a unique location to look for treasure are on another computer so I will hold that discussion for another day. While the local historian took the Diggers to exclusively Danish areas and they found various artifacts, they found nothing from the French era because they were searching in the wrong locations. Such is life, some days in the Caribbean Islands people insist on slipping you a six (6) when you were expecting a nine (9)! I ran into a very similar issue of being deterred from using a road that had been on public maps from the Danish era and the road is still on the Topological Map of St. Croix. 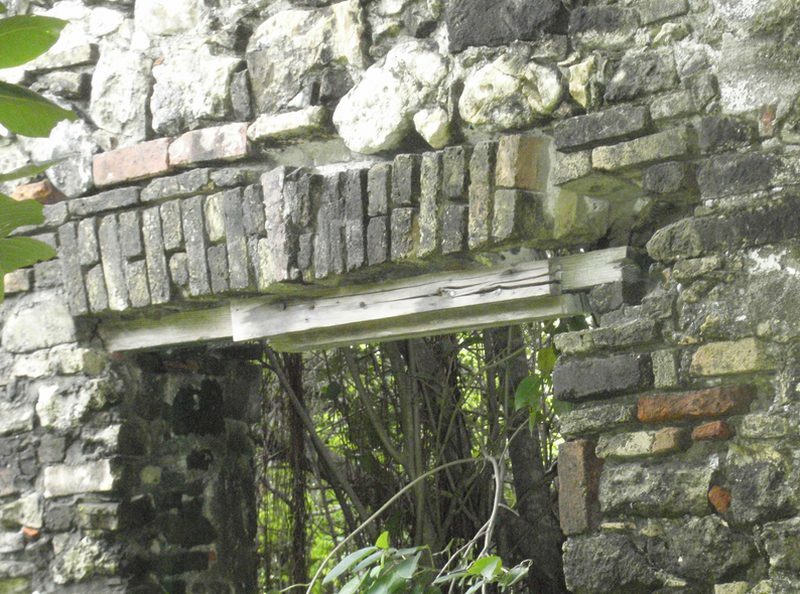 I wanted to explore some ruins that were approximately where Governor Du Bois’ mansion might be. Unfortunately, their is a house built in the middle of the road and a less than friendly reception when you approach it. 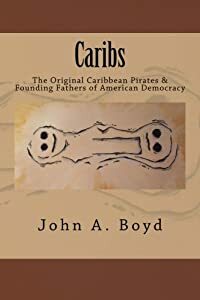 This entry was posted in Knights of Malta, Uncategorized and tagged Ark of St. Croix, Ark of the Covenant, hiking, Knights of Malta, pirate treasures, Pirates, St. Croix History, Treasure. Bookmark the permalink. Can you point on a map, or send GPS coordinates to where the bridge on St. Croix with the Templar cross as the keystone is located? Same as Indian image. Ancient Indian lipi written on rocks and many horror and unknown faces looking. Very challenging task and I am sure nobody could have understand this language and picture till know.